Established in 2012, The Wild Beer Co was born from a love of fermentation and barrel-ageing shared by founders Andrew Cooper and Brett Ellis. Six years on, The Wild Beer Co’s beers are exported to more than 30 countries and have become available in supermarkets such as Waitrose and Whole Foods. Set against the backdrop of the rolling Somerset countryside, the farmhouse brewery shares its space with Westcombe Dairy, brewing a range of beers using modern, creative techniques and ingredients to produce interpretations of some of the world’s oldest beer styles. The wild nature of the beer’s produced (hence the name) is displayed through alternative fermentations and the use of unorthodox yeasts used alongside the brewery’s barrel-ageing and blending program. The brewery’s house wild yeast, for instance, was captured in a neighbouring cider orchard. To house their production facility, The Wild Beer Co are currently building a new brewery, with the intent on becoming one of the UK’s leading craft beer breweries. The new site will also allow the brewery to develop their barrel-aged and sour beer range. This expansion was made possible through a crowdfunding drive on Crowdcube, welcoming over 2000 new investors. 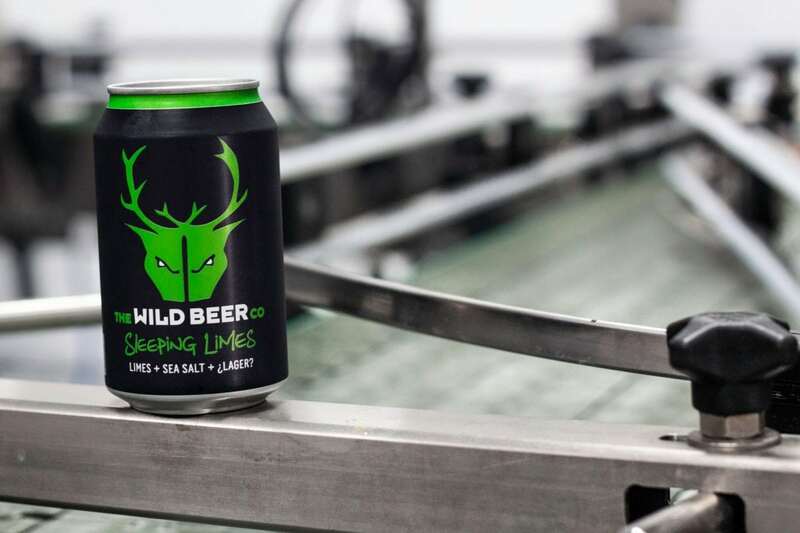 Taking inspiration from their bestselling Sleeping Lemons, and the preserved lemons used, Sleeping Limes is a cleaner beer, also inspired by Brett’s love of South American food – ultimately manifested as a Mexican-inspired take on lager embellished with a wedge of lime. Using fresh pulp and lime zest, the beer’s base is created using a lager yeast, finished with a flurry of salt, inspired by sour gose beers. A beer that pairs exceedingly well with food, the sharp-sweet character is well-matched with South East Asian, also standing up to oily fish and pungent chilli, alongside the obvious marriage with Mexican cuisine. When poured from the can, Sleeping Limes is golden and effervescent, crowned with a fleeting white head. On the nose, classic pilsner notes of light malt and yeast are joined by prominent lime, feint grassy hops and light sourness. Lime notes continue on the palate, alongside further malt presence and hints of doughy white bread. Alongside the feint sourness, the beer has plenty of zippy lime savours but is also awash with unexpected sweetness, complete with a whisper of coconut, before ending with a dry, briny finish. Further information on The Wild Beer Co can be found here.